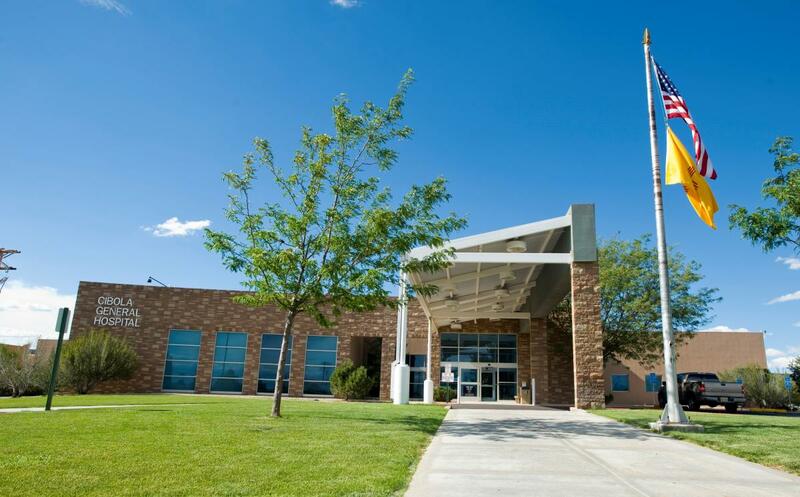 Cibola General Hospital (CGH), in Grants, New Mexico is a 25-bed critical access hospital located in a modern, 50,000-square-foot setting. Staffed by a dedicated healing team well-versed in the latest and best medical procedures, they provide general surgery, 24-hour emergency care, intensive care nursing, internal medicine, obstetrics, pathology, pediatric dentistry, podiatry, primary care and radiology. CGH was established in 1959 to provide Cibola County with the exceptional healthcare services that promote community wellness and improve the quality of life. The hospital has been successful on both counts, offering patients and their families from throughout northwestern New Mexico the finest possible combination of compassionate care and leading-edge technology. Mary Guyot, Principal, and Carla B. Wilber, Senior Consultant with Stroudwater Associates, worked with CGH in 2015, through the Small Rural Hospital Transition (SRHT) Project, on a Quality Improvement (QI) and Transition of Care (TOC) project. RHI staff spoke with Bob Phillips, Chief Executive Officer and Glenna Losito and Maria Atencio, co-Chief Nursing Officers, last month concerning their progress with this project. A: CGH is well underway with the implementation of the action plan. “(We) found a process to implement this project that is working. We choose three recommendations at a time and work on addressing those. We then schedule a meeting after Press-Ganey scores are published to examine results. This has made us accountable by taking data and then making process changes and then re-looking at data. We then make decisions based on findings.” This project is being aligned with other hospital-wide projects. Concerning discharge, they revamped their discharge checklists and are now looking at changing the entire format. They redesigned discharge patient information and involved informatics to make sure the work flow is as easy as possible for the patient as well as the staff. To enhance continuity of care, follow-up appointments for the patient are made prior to their discharge and they are also using a call line to the clinic so that nurse can leave a message to request an appointment. The pharmacy now visits every patient and goes over medication and side effects in consumer-friendly ways and will even talk with discharged patients about their medications. A number of improvements have been made in the emergency department (ED). Staff are rounding on patients more and providing more timely information when there is a wait. The ED triage process is being examined to create protocols so that nursing can order some standard tasks before the physician sees patient and allow for prompt care. The hospital completes call backs for ED and medical surgical patients. The hospital focused on ramping this up by changing the wording used for the callbacks and making these calls the day after discharge. This information, the good and the bad, is shared with providers and nursing staff, like a “report card” for them to see. This information also includes data on length of stay, admission to the correct level of care and percentage of patients leaving without being seen. Physicians receive their own data monthly. This was started about a month ago and CGH is finding it to be an effective accountability tool. The data is shared with department directors as well. CGH has also identified and is resolving issues concerning the collection of correct information in registration. They have implemented LACE, a process to assess patients who might be a high risk for readmission. A: We had been using just phone calls to gather patient experience information and phone numbers were often found to no longer be accurate. CGH plans to use email and direct mail to increase the return rate. The focus will continue to be on four areas: preventing readmission, utilization review, discharge readiness and ED issues. CGH plans to use the process that has worked well for them so far to continue to work on two or three recommendations at a time and then reviewing the results. A: CGH is doing the work now to prepare to be a part of an ACO. The project is helping to prepare for sustaining; they will need to do this to survive and are creating processes to support population health. CGH continues to focus on doing small things differently, such as using language that resonates with the patient, which can make a big impact.